Chile is a thin and long country. In fact, it is as long as the United States is wide. Chile is also a country of incredible variety – from the driest desert on earth to ancient forests to vast glacial fields. A visit to Chile is a visit to some of the most pristine parts of our world. Three of Chile’s most popular destinations are the Lake District, Patagonia and the Atacama Desert. With these three, you’ll experience everything from untamed frontiers, snow-capped mountains, emerald lakes, and lunar landscapes. Located in southern Chile, the Lake District, or Región de Los Lagos, is an adventurer’s paradise. Its spectacular scenery includes emerald green hills, snow-capped volcanoes, historic fishing villages, lush forests – and, of course, lots of lakes. Here you’ll also find rivers, waterfalls, and thermal hot springs. Best way to get there: Fly from Santiago to Puerto Montt, the capital of Los Lagos. Best time to go: The Lake District is an all-season destination, but for fewer crowds, go in the Spring (Oct-Dec) or Fall (Mar-May). 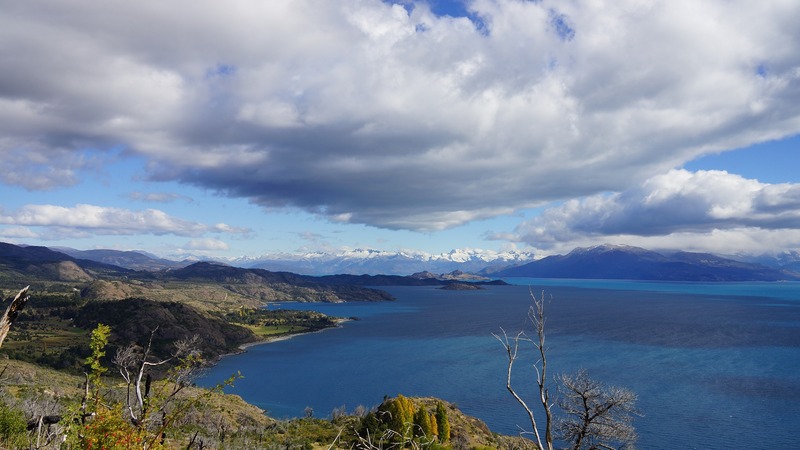 Over 50% of Chilean Patagonia is a Protected Wilderness Area. Its wild nature is a perfect backdrop for hiking, kayaking, and horseback riding. 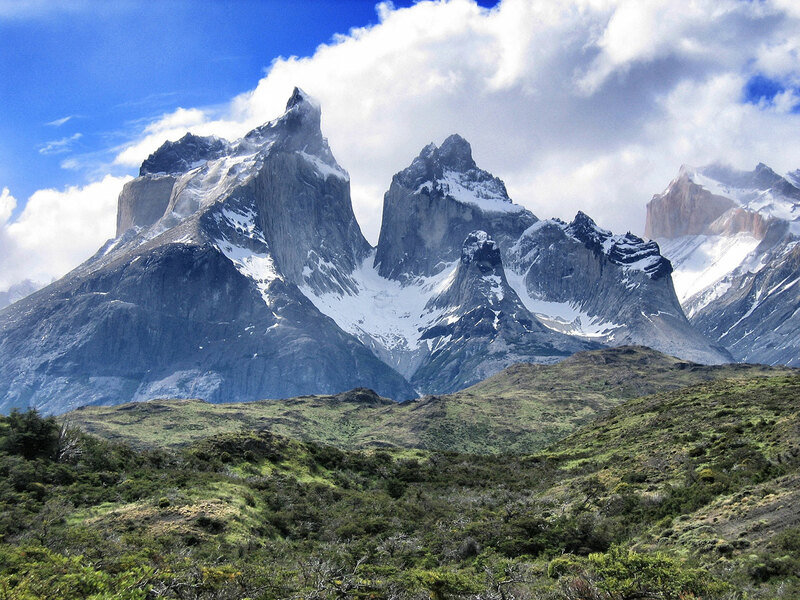 Chilean Patagonia’s main attraction is the Torres del Paine National Park. It is considered one of the most scenic hiking venues on the planet. 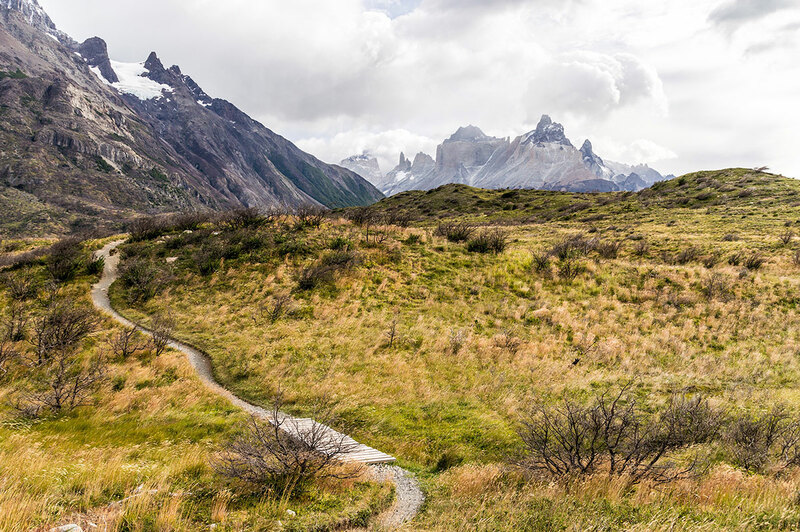 Hiking trails will take you to aquamarine lakes, through lush forests, and to the soaring granite Cuernos del Paine. Kayak among the icebergs on Lake Grey with the massive Grey Glacier as your backdrop. The Atacama Desert is thought to be the driest desert in the world. Stretching 600 miles from Peru’s southern border into northern Chile, parts of it haven’t seen any rainfall for hundreds of years. Over a million people call it home. 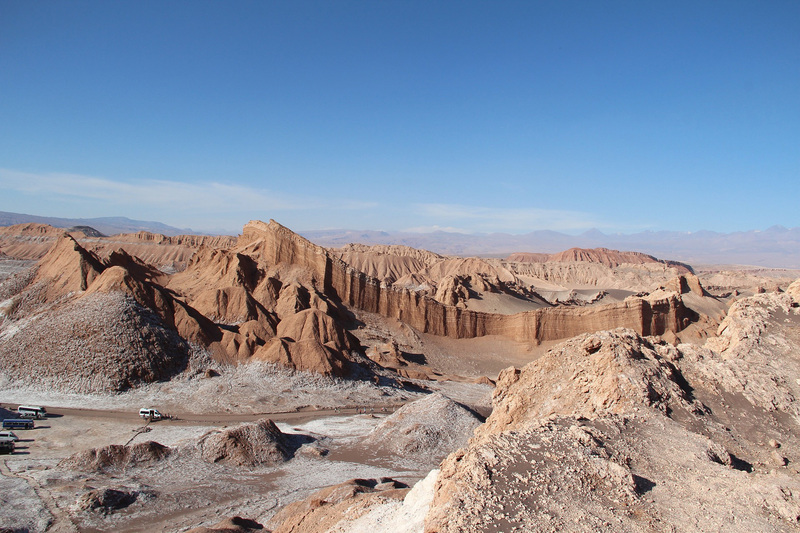 One of Atacama’s greatest attractions is El Valle de La Luna (Valley of the Moon). Its lunar landscape features sand dunes and stone formations, dry lakes and caverns. Climb to the top of a giant sand dune to watch the sun set. You’ll witness the entire valley bathed in purples, pinks, and golds. Also worthy of a visit is El Tatio Geysers, a vast geothermal field that is ringed by volcanoes. It consists of about 80 gurgling blowholes, each producing thick, steamy plumes that can climb as high as 33 feet. Prepare for a before-dawn start as the geysers only erupt in the morning. Best way to get there: San Pedro is the closest town. Fly from Santiago to Calama. From there, drive or take a tour to San Pedro. Best time to go: The Atacama Desert is an all-season destination. Temperatures vary greatly during the day, so you’ll want to wear layers. 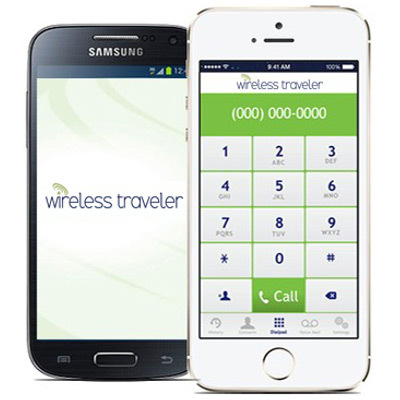 As you travel the length of Chile, you can stay connected to everyone in your traveling party with the low-cost Wireless Traveler app. Calls are free app to app and it is only 2 cents per minute to call back home to the United States (with a WiFi connection). Calls locally within Chile are only 4 cents per minute. Rent the Pocket WiFi Hotspot and everyone can check their email and social media (up to five devices can connect to the Internet at one time). If you need a high speed device for streaming video and data, the Global WiFi program is ideal.